Enjoy The Sims 2 on-the-go with The Sims 2 Mobile game for cell-phones. Experience authentic Sims-style gameplay! 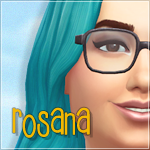 Manage the life, motives, and moods of your Sim, and keep them happy as they furnish their home with fineries, take a job to keep the cash rolling in, and interact with their quirky, memorable neighbors to gain status. With The Sims 2 Mobile, you can bring The Sims 2 with you, wherever you go! You'll be happy to see the compelling, open-ended game-play of The Sims 2 on a device that you can take with you can slip in your shirt pocket and take with you just about anywhere. Now, The Sims 2 will literally be close to your heart! Build up the perfect Sim from a wealth of individual components! Choose from a mammoth amount of single pieces to create the right Sim to live the life you want in The Sims 2 Mobile. Choose from literally tens of thousands of existing Sims available on thesims2.com Exchange or create the perfect Sim yourself using The Sims 2 Body Shop in the PC version of The Sims 2! Does Romance really get your motor humming, or does your single-minded pursuit of the almighty simolean preclude you from becoming amorously entangled? Do you take stock in what others think of you, or are you more interested in finding answers to life's big questions? Whatever might be the case, we've got the right aspiration for you! Choose to play as either a Romance, Knowledge, Fortune, or Popularity Sim. The way you play determines how the game will unfold for you! Go ahead, covet your neighbor's stuff. It's all good! If you really, really want what they have, just try and trade them something from your own inventory. Who knows? If you're lucky, maybe they'll even give it to you as a gift. Just like in the PC version of The Sims 2, your Sim will generate memories as he or she progresses through the game. i think on my cell it's would work. but i don't know how much is would cost.